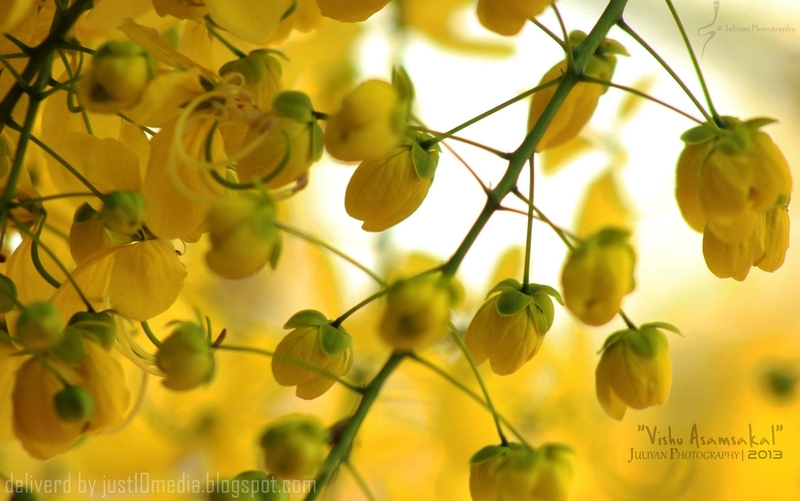 This is a flower which is commonly used in south India for the Tamil and Malayalam New year. It will blossom in the month of March-April. The people in their new year they will deliver this flower to the god at the time of new year worship. This flower is commonly called "Konna Poo" in Tamil and "Visu Flower" in Malayalam.